Portadown Chamber of Commerce and the Portadown Times have joined forces to call for a coordinated parking strategy in the town centre. The responsibility for off-street parking moves to the new ABC Council in April and we want to see an end to the strategy that has seen some motorists and businesses harshly dealt with. Portadown Chamber of Commerce President Adrian Farrell wants the new council to “use their new car parking powers purely for the benefit of the town and not as a money-making exercise”. Mr Farrell added that valuable lesson were learned over Christmas with free parking days, with the ‘five hours for £1’ promotion and other schemes that saw trade in the town increase for the first Yuletide season for a number of years. 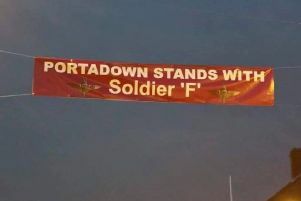 “This is the sort of thing which Portadown doesn’t need,” said Mr Farrell. “Of course, there can’t be a free-for-all. Portadown is really well off for car parks, ranging from free all-day to the £1 for five hours, the High Street Mall deals, free at the Meadows Centre and so on.